[Flow] allows us to respond to changes in demand quickly, and gives us a unique view into revenue and ridership that we’ve never had before. Citilabs, a leading mobility analytics solution provider, today has launched their new transit planning, operating and reporting solution, Flow, at the American Public Transit Association (APTA) Expo in Atlanta, where Citilabs is exhibiting this week. 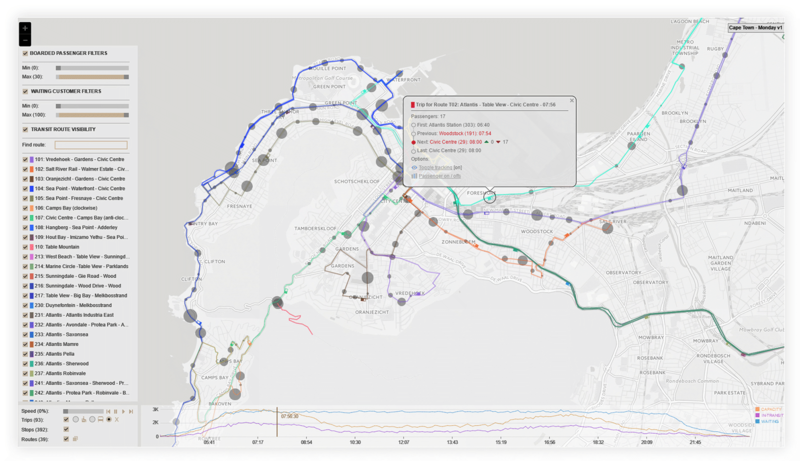 The Flow solution delivers a complete system for monitoring and predicting transit system performance, enabling better planning and operations decisions. At Citilabs, we build robust solutions that empower meaningful change for the betterment of communities and organizations by understanding the movement of people, goods and vehicles. Citilabs’ solutions allow users to measure, manage and predict how people move and goods flow, advising the transportation, advertising, insurance, real estate, retail, mobility services and automotive industries. Headquartered in Sacramento, with offices in Atlanta, Tallahassee, Abu Dhabi, Milan, and Singapore, Citilabs has a 40-year history as a global industry leader and supports more than 2,500 clients in more than 70 countries. For more information, visit http://www.citilabs.com. Citilabs Launches Unique Data Driven Transit Planning, Operations and Reporting Platform with FlowPDF of Press Release Citilabs' Newest Solution - FlowCitilabs’ Flow leverages big data and predictive technologies to provide valuable insights for the management, operation and planning of public transport systems.